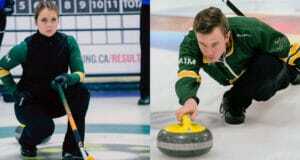 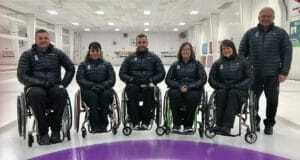 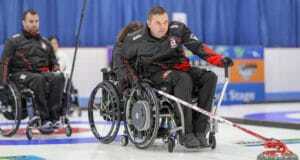 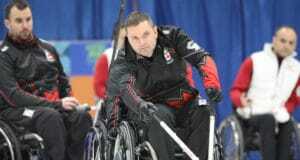 Canada’s Curling Hall of Fame will welcome six new inductees, while some of this sport’s finest and most dedicated volunteers and supporters will be honoured with prestigious Curling Canada awards, it was announced today. 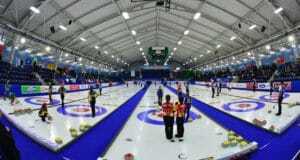 For the second straight year, Canadian teams will be playing for gold at the World Junior Curling Championships, thanks to semifinal wins by Selena Sturmay and Tyler Tardi on Friday night at the Queen’s Place Emera Centre in Liverpool, N.S. 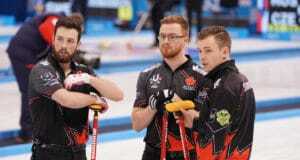 Canada’s Selena Sturmay was on a mission on Friday afternoon at the 2019 World Junior Curling Championships in Liverpool, N.S. 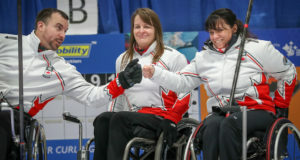 The Canadian skip knew that she could nail down a spot in the semifinals with a win over Russia in the final game of the round robin, and that’s exactly what she accomplished. 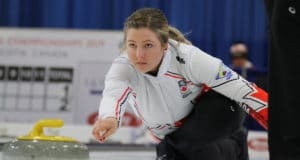 Selena Sturmay will need a strong closing game on Friday – and a little help from the rest of the women’s field – before she can be sure of nailing down a playoff berth at the 2019 World Juniors Curling Championship after losing 8-7 in an extra end to China’s Yu Han on Thursday evening in Liverpool, N.S. 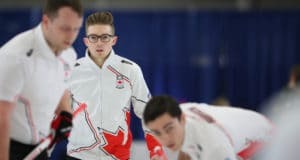 Tyler Tardi is playoff bound at the 2019 World Junior Curling Championships in Liverpool, N.S., thanks to a 9-5 win over Sweden’s Daniel Berggren on Thursday afternoon. 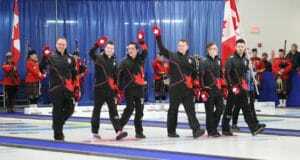 Tyler Tardi needed a hero shot with his last rock in the tenth end, but when the dust settled, Canada came out on top of an 8-6 battle over Germany to stay in the hunt for a playoff spot at the 2019 World Junior Curling Championships in Liverpool, N.S.